When you're traveling, comfort is of the utmost importance. However, finding a safe, comfortable mode of bus transportation can be difficult. That's where we come in. 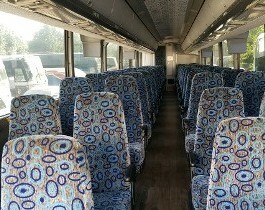 At J&J Tours and Charters, we offer a fleet of well-maintained, luxury charter buses. 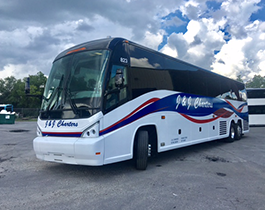 Equipped with a wide range of amenities, our buses are ideal for NCAA athletic teams, corporate outings, church excursions, airport transfers, or field trips. Ask about our charter bus prices today and request a free quote for your services. Request a free bus quote today! 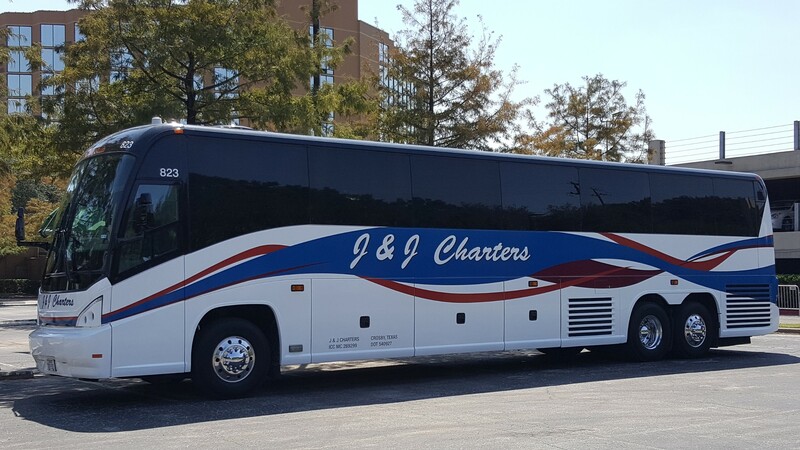 For more than 30 years, passengers throughout the area have turned to J&J Tours and Charters for personalized and attentive charter bus service. With our affordable prices, extra leg room, and comfortable seating options, it is no wonder that we have become the area’s top provider of charter service. We work hard to deliver friendly and personalized service during every part of your trip. Contact us in Houston, Texas, to request our charter bus services for your transport needs. We offer options for customers throughout the area. 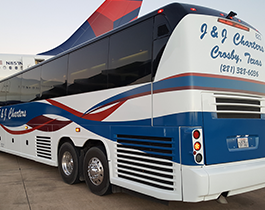 J&J Tours and Charters is a luxury charter bus service located just east of downtown Houston. For more than 30 years, we've dedicated our time to providing personalized, attentive service. With affordable prices, extra leg room, and ultra-comfortable seats, our coaches have everything you need to relax and enjoy the ride. As a family-owned-and-operated charter bus company, we strive to provide friendly, personalized service every step of the way. Our drivers are polite, easygoing, and always prioritize the safety of their passengers. To better ensure our customers' satisfaction, we hand out customer surveys at the end of each trip. If you're looking for a coach bus rental service that truly has your best interests at heart, you've come to the right place.